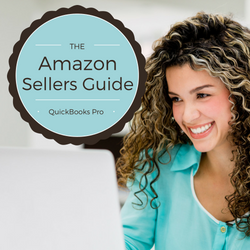 Have you ever considered using Quickbooks for Amazon sellers but decided that it was too complicated? Or maybe, bookkeeping hasn't even crossed your mind lately? Check your calendar real quick. Is it April 14? If it’s not, you’re probably not too concerned about your taxes at the moment. Maybe the average 9-to-5 employee can get away with entering their W2s into tax prep software just moments before the deadline. But when you’re running your own business as an Amazon FBA seller, you need to monitor your finances all throughout the year. Sure, knowing your numbers will make things easier at tax time, but that’s not the only reason to keep tabs on your financials. Tracking your sales, expenses, assets, and liabilities throughout the year is the only way to really know if you’re running a profitable business. If you’re familiar with my trainings, you know that I do this using both GoDaddy Bookkeeping and Inventory Lab. In my years of teaching and connecting with other Amazon sellers, a lot of people do ask me specifically about QuickBooks. I’ve never used QuickBooks as an Amazon seller, so I haven't felt qualified to answer those questions. 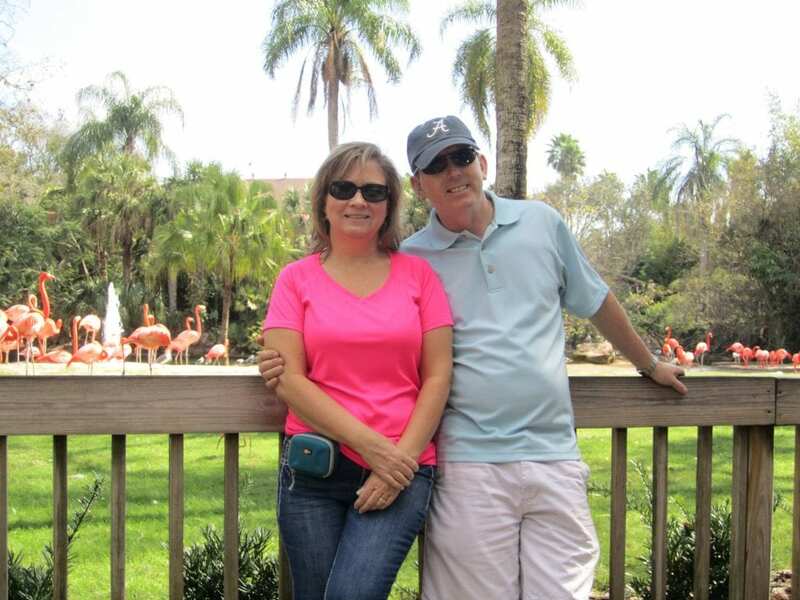 But recently I had the opportunity to chat with QuickBooks power user Vicki McCay. These days, Vicki homeschools her son, does some freelance accounting work, and runs a successful Amazon FBA business. But in her old “9-to-5” life, Vicki worked full-time as an accounting clerk in the automotive industry. Because she already had over 20 years experience with QuickBooks, using QB was an obvious choice for her when she started her Amazon business. As you can probably imagine, accounting for a big company is more complicated than the average Amazon FBA business. But Vicki's QuickBooks expertise and Amazon selling experience allow her to understand the needs of Amazon sellers bookkeeping needs. Vicki was helpful enough to explain some of her favorite things about QuickBooks to me. I’ll share some of that knowledge with you first, and then we’ll dive into the interview. The main difference is that QuickBooks is a double-entry accounting program. This means that for every business transaction you enter, two (or more) accounts will be affected (Vicki will share some more about this in the interview). QuickBooks is a full accounting software system that will track your assets (money in your bank account, the value of your unsold inventory, etc.) and your liabilities (money owed on your credit cards, loans, etc.). Because assets and liabilities are both tracked, you’ll have the ability to run a Balance Sheet report for your business. This is pretty important for an inventory-based business like Amazon because it will give you a full picture of your business’s financial health. Another difference is that GoDaddy only supports cash-basis business accounting systems. QuickBooks can be set up to handle cash-basis or accrual-basis accounting methods. One last big difference is that GoDaddy integrates directly with Amazon to import your sales while QuickBooks does not. You can pay for extra services that automate it for QuickBooks, but Vicki has a way to do this manually that’s pretty quick! There are some similarities, of course. Like with GoDaddy, QuickBooks will also track your expenses and income. Both can generate a Profit & Loss Statement which has most of the information you need to do your taxes. QuickBooks can be a little intimidating to the non-accountants out there. It definitely has a reputation among new Amazon sellers as being harder to set up than some of the other systems. On the other hand, GoDaddy is more like a checkbook register that most people are already familiar with. You do not need to be an accounting whiz to use QuickBooks, but some accounting knowledge will make things easier. That might seem like a lot of work, but, hey, maybe learning a little accounting is a good thing for us business owners! What Version of QuickBooks Is Best for Amazon Businesses? Most Amazon sellers are already paying for a variety of monthly subscriptions for things like Inventory Lab, Chrome extensions, Online Arbitrage tools, or maybe even GoDaddy Bookkeeping. With QuickBooks, Vicki recommends the “old school” approach of buying the software. While QuickBooks does offer a subscription, web-based version (called QuickBooks Online), Vicki says that Amazon sellers are better off with QuickBooks Pro. This can be a relief for sellers who are tired of all the monthly services adding up. QuickBooks Pro, which is available as a disc or download for your PC, currently costs about $200. But remember, that’s a one-time fee, not a monthly cost. Unfortunately, QuickBooks has stopped offering the Desktop Pro version for Mac, so you’d have to look into their online (monthly) options. One benefit of the Desktop Pro version is that you can set it up to accurately track your inventory and Cost of Goods Sold (COGS). Vicki has hers set up to calculate the ROI of each item, just like with Inventory Lab. QuickBooks Pro can even show when it’s time to reorder new inventory! That means if you’re someone who justs uses Inventory Lab for accounting purposes (and not for listing or Scoutify 2), then you could potentially do all of your accounting inside of QuickBooks Pro and not pay for Inventory Lab or any other inventory tracking systems. Remember, although good record keeping is essential for taxes, this stuff matters all year long! If you’re trying to get by with just one piece of information (like your 1099-K, Inventory Lab Reports, or your bank account balance), you don’t know where your business stands. 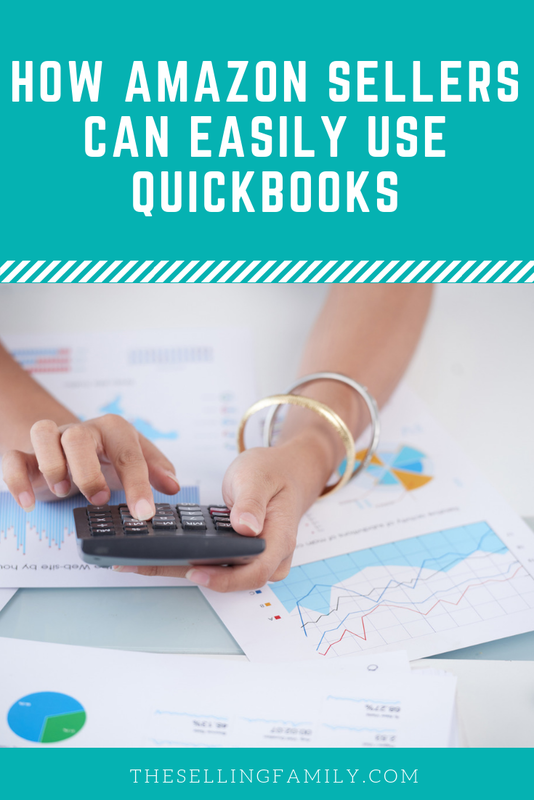 Even if it takes you a while to learn QuickBooks and get it set up correctly, this will still save you time compared to having all of your receipts spread out in front of you when April rolls around! Plus, when you have everything nicely organized, you can turn that over to a CPA who can help you find money-saving deductions on your taxes. You want to spend your time running your business, not stressing out over your finances or tax returns, right? So by learning a tested accounting method and staying on top of your accounting, you’ll save yourself tons of time (and money) in the long run. Now that you're up to speed, let's turn it over to Vicki McCay! Can you tell us a little about your journey as an Amazon seller? I love that question because it has been a journey. Basically, I started out by searching for options to supplement our income once my husband retires. That’s many years from now, but I’m a planner. While I consider myself a risk taker, I am also cautious when it comes to putting my family in financial hardship. I got the Amazon Boot Camp course, and that started it all. 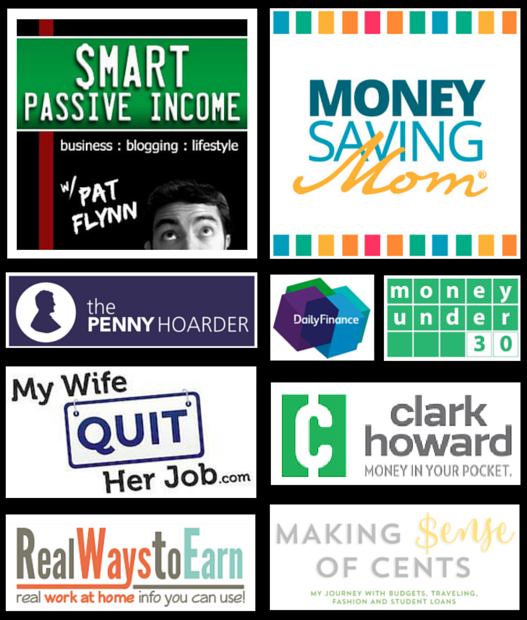 I haven’t made an enormous amount of money and didn’t set out to do that. I am supplementing our income, but more importantly, I’m laying a foundation for the future. When did you start using QuickBooks to help with your Amazon bookkeeping? I have always used QuickBooks for my Amazon bookkeeping. I never even considered using anything else because I know its power. What is the benefit of using QuickBooks vs. a more straightforward program? The benefit of using QB over a simpler program for me is that I know QuickBooks. Been using it for around twenty years. It is double-entry accounting, which makes the posting twice as fast! In the simpler programs, users are mainly posting in a checkbook type register or single-entry accounting. Let me give you an example: Say you sell a product on Amazon and you create an invoice in QB. All of this happens just by creating the one invoice. No other posting needs to be made by outside vendors or on different worksheets, and your reports are instantly updated. By the way, no prior accounting knowledge is required. Helpful, but not required. 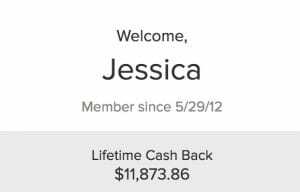 What were some of the hangups you had when first trying to use QuickBooks for Amazon? With my automotive accounting background, I was well versed in Reynolds and ADP accounting software. Basically, QuickBooks is not able to do some of the processes they do, but QB runs about $200, and those bigger ones are thousands per month. I’ll cut QuickBooks a little slack here! If you’ve never worked as a professional accountant for a large company, you might not notice these drawbacks!! However, some of the specific hangups I encountered were associated with posting payment statements. QuickBooks will only allow either Accounts Payable or Accounts Receivable transactions in a single entry. So, long story short, I had to create a special posting worksheet and accounts to solve the problem. Good news, the worksheet works like a dream. That was a one-time thing and now what used to take me hours to post literally takes just a few minutes. Great question and it sounds like you're on the right track. I created a posting worksheet that I use for each payment statement. It sounds similar to what you are doing. It is easy to use the worksheet to post, plus I have additional pages that track the mass invoice that I make at the time of posting. It all takes minutes to download, sort, and post. You created a course for Amazon sellers who want to use QuickBooks. What inspired that decision? I also wanted to make QuickBooks easy to learn so that anyone who wants to keep their own records can do so with confidence. They’ll be able to prepare year-end and monthly reports in a professional manner. Just a side note, accountants love QuickBooks, so you’ll really look like a savvy business owner when you’re meeting with a CPA! And when it’s time for taxes, you’ll have all the right reports and your accountant or tax preparer will be so impressed! Thanks again, Vicki! That was an informative chat! And I definitely hope that it helped you see that QuickBooks isn’t so scary. As Vicki pointed out, maybe QuickBooks is actually pretty simple when you consider all that it does for your business! As you can tell, Vicki is pretty passionate about helping Amazon sellers run their businesses smartly and efficiently. And she loves to teach her accounting system in a simple, easy-to-understand way (no wonder we get along so well!). This is not an accounting course that assumes you have an advanced degree in business or finance. This course is for beginners. As an Amazon seller, accounting professional, and experienced QuickBooks user, Vicki is the perfect person to teach you how to set up QuickBooks specifically for your e-commerce business. Vicki teaches with short, actionable videos. That way you can implement what you just learned right away. And if you have a specific question in the future, you can just go back to that one short video as a refresher. You can get the full details and the course curriculum here. At only $79, I can tell you this course is a fantastic deal. So what do you think? Are you ready to finally get serious about your bookkeeping and accounting? If you're already up and running, I'd love to hear about what accounting tool(s) you use for your Amazon business. Do you do your own accounting on a weekly, monthly, or yearly basis? Are you happy with your current system or looking for a change? Or, do you have any questions about using Quickbooks for Amazon sellers? Will this course allow me to go back to last year to track everything for my business? Or will it only work from this point on? Does Viki’s course apply 100% including the custom spreadsheet to the online version of quick books? We only have Macs. Thank you.